ZenPop celebrated 2 years anniversary in October!! October is also the month we decided the name of our bunny mascot Luna. Thank you for all your support and hope you enjoyed bunny items in this pack!! 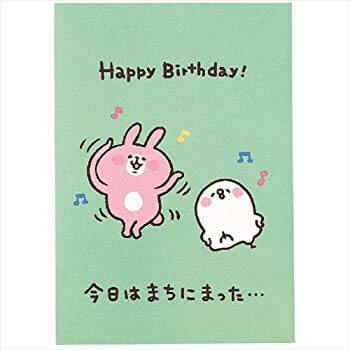 First of all, to celebrate the 2nd birthday for ZenPop, here’s Kanahei Bunny Birthday Card for you! 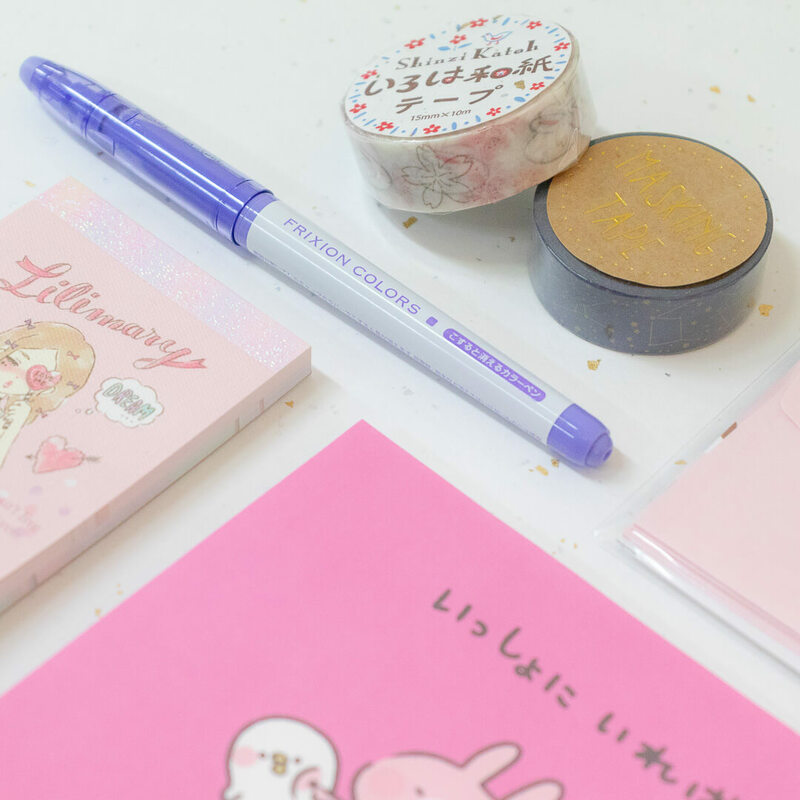 We’ve included another Kanahei stationery. Pink bunny on the Kanahei’s Bunny Decoration Sticker is called “Usagi (rabbit in Japanese)” and the white bird is called “Pisuke”. Those two are best friends and they go everywhere together. 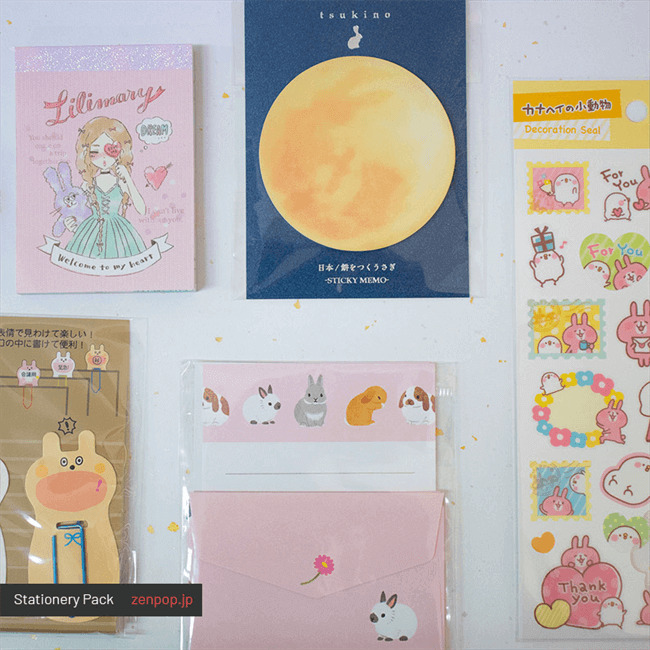 4 kinds of rabbits, Dutch, Netherland Dwarf, Holland Lop, and Dwarf Hotot, is drawn on the Bunny Mini Letter Set. Maybe some of them are friends of Luna’s!! It is nice to write short letter or attach message to present to your friends with this bunny letter set. Needless to say, this index bunny clip is so useful! Write a heading inside the rabbit’s mouth and clip your papers. 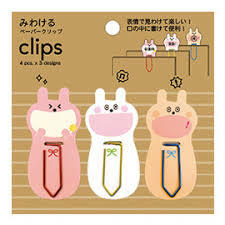 Bunny clip will file your documents and also tell you the heading. Enjoy your study/work time with cute 3 bunnies!! In Japan, we celebrate “Jyu-go-ya” (十五夜), also known as Tsuki-mi or moon viewing on October. We thanks for the rice harvest and pray for good harvest to the moon. Also, it is considered that the pattern of the moon makes it look like a rabbit making rice cakes. 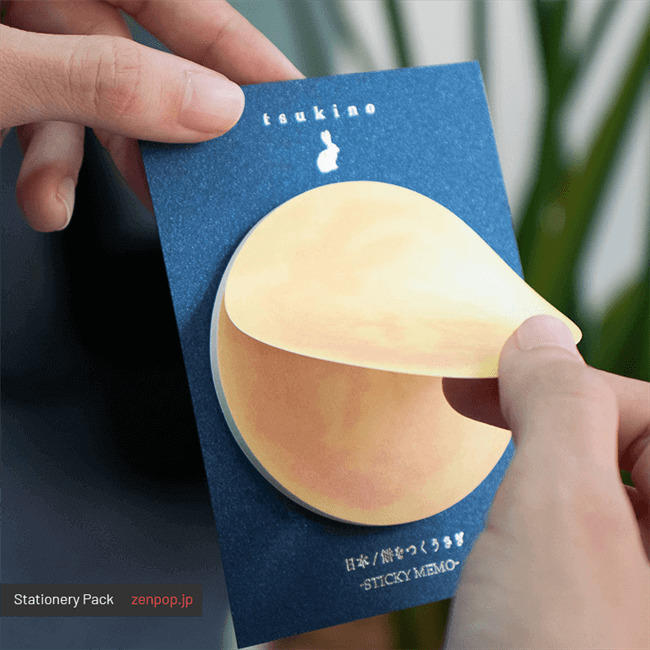 Can you find rabbit in your Moon Sticky Notes?? Tenori means “can fit in your hand” and Ichioshi means “highly recommended”. As you can guess from the name, this Tenori Ichioshi Stamp Glue is highly recommended palm-sized stationery. You don’t have to paste entire surface of the paper, it is enough if you stamp it on four corners. You can stamp approx 500 times! 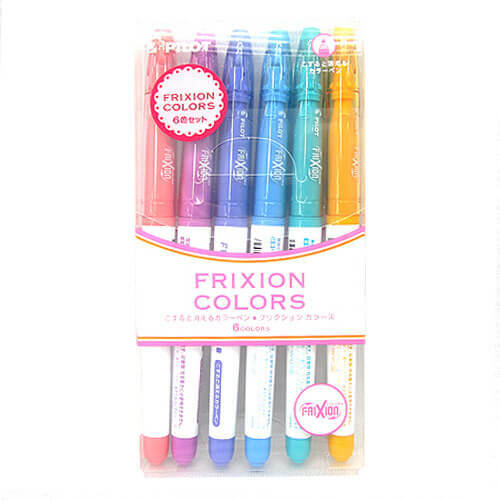 Cute pastel color Frixion color pen from PILOT. 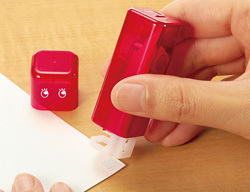 Can write smoothly and erase it easily when you want. Decorate your notes with Frixion colors and make it colorful!! You will get one out of 6 colors. 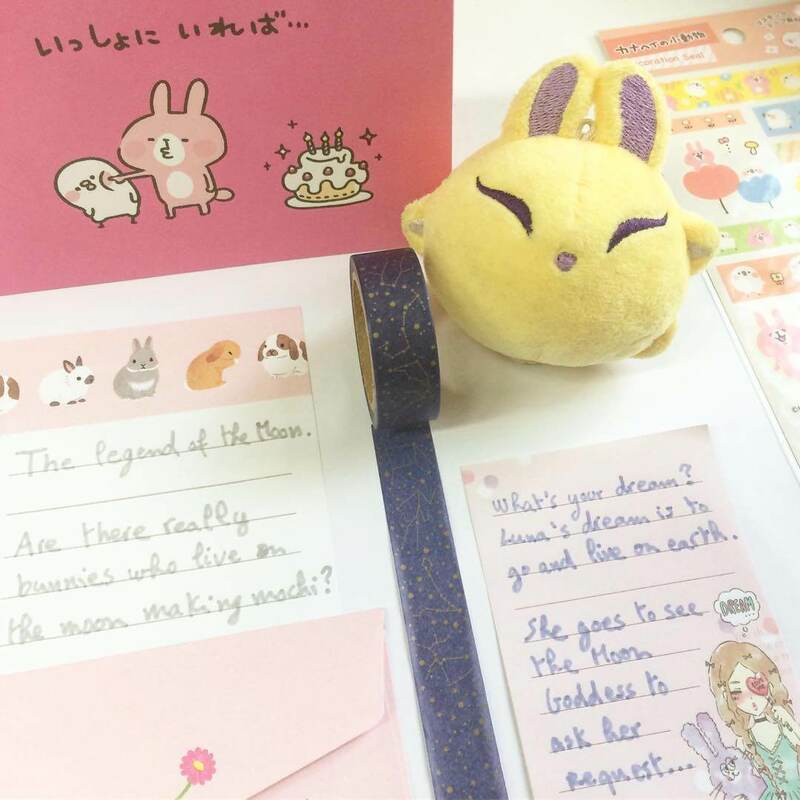 Other items included two washi tapes, one bunny tape, and one constellation tape, as well as a cute memo pad from Mindwave. As a bonus, subscribers got a Luna plushie inside their pack! !